On Wednesday Zara Davis set a new mark of 44.19 knots/h in the Luderitz speed strip (to be approved officially). By that the old female Windsurfing World Record (by Karin Jaggi) is history by nearly 3 knots/h more. Winds in the range of 28-35knt/h were enough to set the new record. 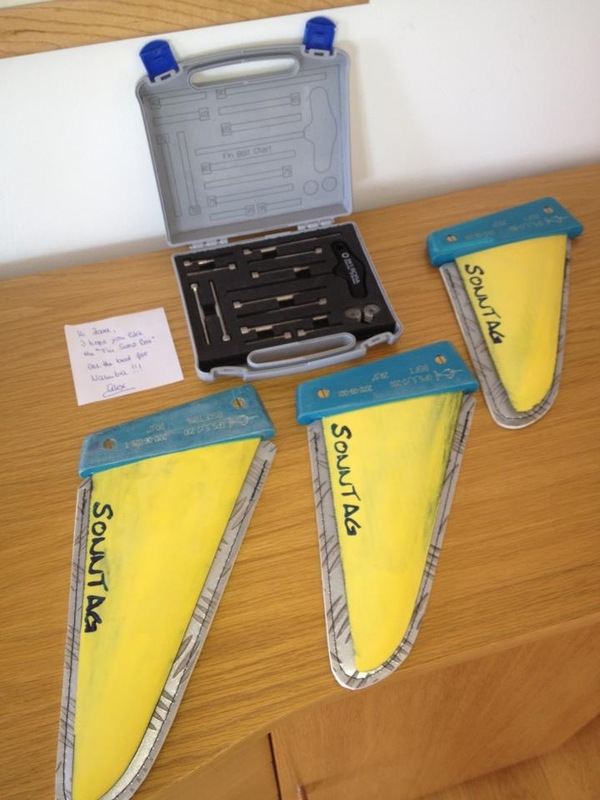 Congratulations to Zara from the Sonntag-Fins Team for this outstanding performance! Zara was going with a series Mistral Speed 42, a 5.5 m² Simmer Sails SCR 2012 and a Sonntag GPS_5 rev2 20 cm speedfin. The mens Windsurfing World Record was also broken by Antoine Albeau and is now set to 49.41 knots/h (to be approved officially). Congrats to Antoine as well! 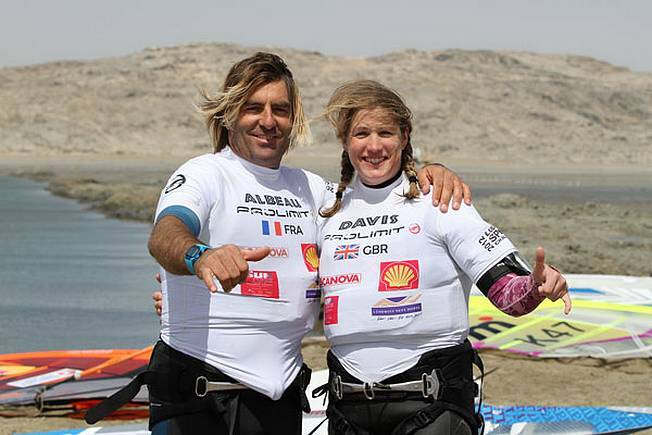 The new windsurfing speed record owner Zara and Antoine. The GPS_5 rev2 is an optimized GPS_5 fin with a new profile and slightly adjusted outline. We optimized the profile for lowest drag on small AoA and delayed cavitation by a nice flat pressure distribution along the chord. The mould size was increased to allow also the production up to 25cm long GPS_5 rev2 fins. This model meanwhile proofed the performance requirements so that we released the design for series production.